The Myla Double Bed offers both comfort and style with its sleek velvet upholstery. There's storage room too, so you can really make the most of the space you have available. The feather grey velvet frame is a soft light grey. It's so easy to match with a variety of finishes, so you'll have no trouble styling this bed in your existing interior. The velvet upholstery is a short pile polyester velvet but with the softer, matt appearance of a cotton velvet. 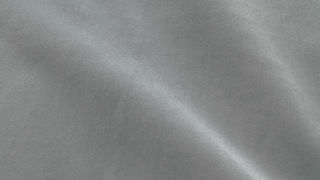 This means you get the soft look and texture of velvet without an overly sheeny appearance. It's a far more accessible way to introduce a plush velvet finish to your home. 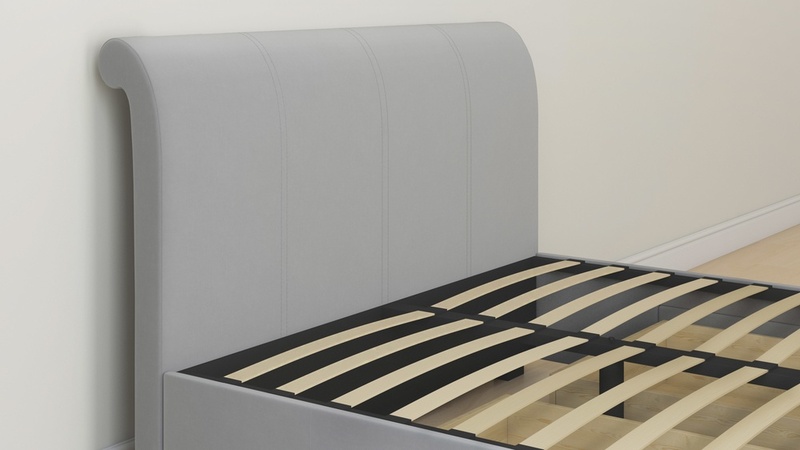 The frame of the Myla has sprung slats which increases the overall comfort of the bed, as your bed is effectively helping your mattress be in best, most supportive position. It's a really premium feature, especially on a bed at this price point. Having a taller headboard gives a bed a more formal and impactful look in your room, and the Myla does this beautifully with the subtle rolled detail on the back. This bed also has a rolled footboard which is not only a nice finishing touch, but is ideal if you want to watch TV in bed as the footboard won't be in the way. 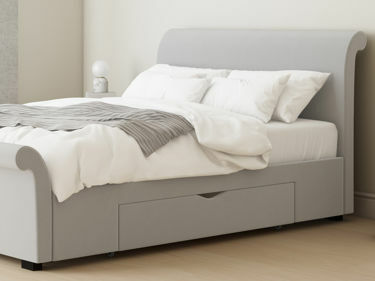 The Myla bed is also available in a king size if you love the look but need a slightly larger bed. 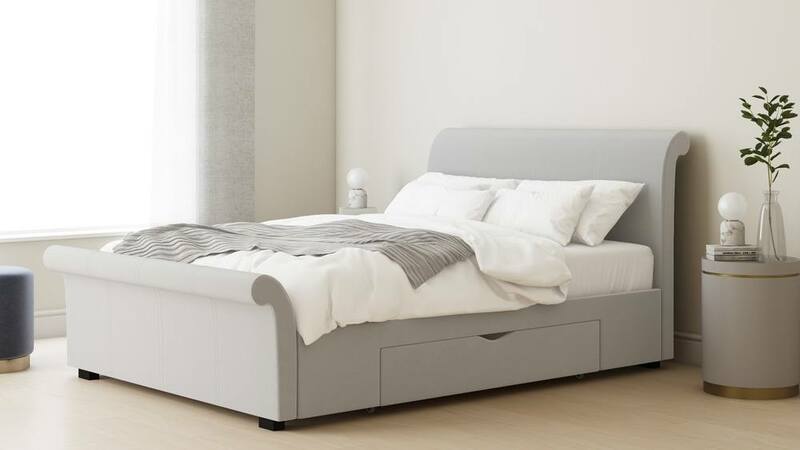 With its neat rolled-back headboard, smooth velvet upholstery and handy drawers on either side of the bed frame, the Myla bed has been designed with both style and comfort at its heart. The bed frame itself is constructed of sprung slats that help to keep your mattress in the most supportive position, a subtle yet considered engineering feature that’ll provide you with even more of a restful night’s sleep. Stylist's Tip: For even more of an on-trend look, clash your textures. Velvet beds are super luxe but if you're after a softer, more relaxed look, balance the smoothness of velvet with a chunky knit and cool metallics like brass and copper.